Houston - New signs posted outside a mosque in Spring Branch, Texas, have sparked outrage from Muslims nationwide. In black letters, the signs reads, "No Muslim parking in the Westview Shopping Center. Your car will be towed." The posters lined the street near the El Farouq Mosque, where Muslims heading to worship services said they were were offended. "I feel sorry for the person who wrote it," Ahmed Hassan told CNN affiliate KPRC. "This is what comes to mind because obviously he has a lot of hate." 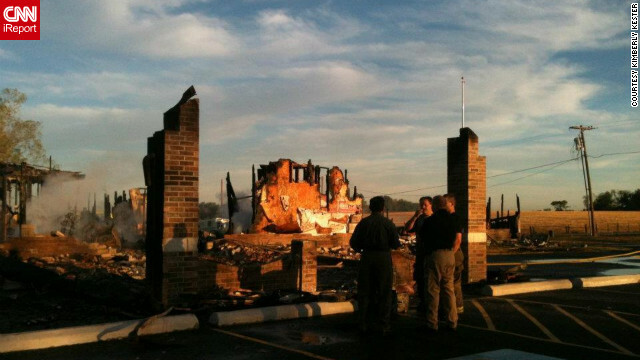 (CNN) - During Ramadan, the holy month of fasting for Muslims, there is a night that I look forward to every year. It is the night when Muslims believe that the Prophet Muhammed received the first revelation of the Quran. He was in a cave, praying, when he hears the angelic voice of Gabriel speaking to him, bearing him a revelation from God. CNN's Peter Bergen thinks that this night has symbolic meaning for al Qaeda, and perhaps it does. London (CNN)– Olympic judo competitor Hemeed Al Drie plans to sin during the Games in London, he admits with a grin. "God is merciful and compassionate, even when our sins are many," said Al Drie, kneeling on a mat while martial artists hurled each other to the floor around him. Al Drie's sin isn't what you might expect. It's that he is planning to eat and drink while the sun is up during the Olympics, even thought the Games fall smack in the middle of the Muslim holy month of Ramadan. Observant Muslims are supposed to fast during Ramadan, abstaining from all food and drink, even water, during daylight hours, then eating and drinking after sundown. Fasting for the month is a major religious obligation, one of the Five Pillars of Islam. But Al Drie, 19, knows that fasting on days when he has up to six judo matches against the world's best competitors would doom his chances of winning. "If you don't eat and you enter a competition, you might faint," he said. That would lead to instant elimination. Rye, New York (CNN) -What was meant to be a celebration marking the end of Ramadan turned into a melee at an amusement park on Tuesday when a group of Muslim women were told they weren't allowed on certain rides with their headscarves. Rye Playland was full of visitors celebrating Eid al-Fitr when the festive mood turned angry. Westchester County Police said the women wearing the hijab, a traditional Muslim headscarf, became argumentative when park employees enforced the no-headgear policy and men sprang to their defense. Eden Prairie, Minnesota (CNN) - Watching Minnesota Vikings starting safety Husain Abdullah on the sun-drenched field during practice on a recent afternoon, you’d never guess he hasn’t had any food or drink since sunrise. Abdullah is an observant Muslim, which during Ramadan - the Islamic holy month that ends Monday night - means no eating or drinking from sunup to sundown, not even water. 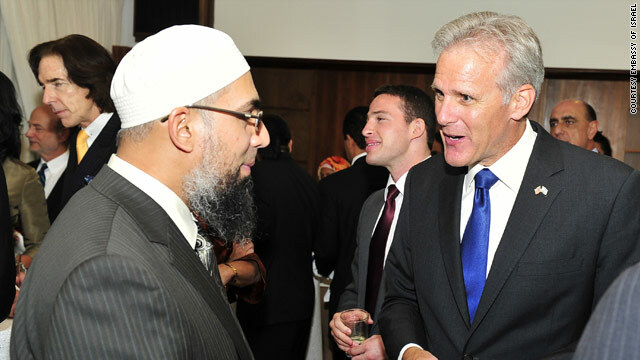 Omer Bajwa, the Coordinator of Muslim Life at Yale University, talks to Michael Oren, Israel’s Ambassador to the United States. (CNN) - The Israeli ambassador to the United States hosted a dinner celebrating the Muslim holy month of Ramadan on Thursday, marking the first time an ambassador from the Jewish state has hosted such a dinner in the United States, the embassy said. Israeli Ambassador Michael Oren hosted the dinner at his residence, with about 65 guests in attendance, including imams, rabbis and officials from the White House, Congress and the State Department, according to Israeli Embassy spokesman Lior Weintraub. Oren said the unusual dinner is fitting at a time when the future of the Middle East is uncertain, as the Arab Spring has unseated regimes in Tunisia and Egypt and as Libya appears poised on the brink of a revolution.